Dealing with an immigration issue? At Guerrero Geisel Law, PA, we offer legal experience combined with a drive to serve our clients with each and every case. When working with our legal team, you can have confidence in knowing that we are prepared to go the distance in helping you obtain the American dream. 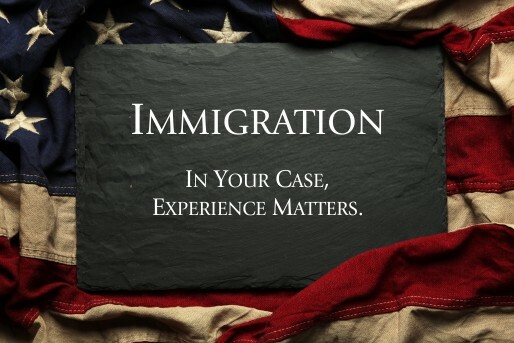 Our legal team consistently exceeds our clients’ expectations in the pursuit of legal immigration into the U.S. Whether you are an employer or an individual, we understand both sides of the gavel working hard to get positive results. At Guerrero Geisel Law, PA, we know that Immigration Law is complicated; For many, it can be hard to acquire the type of visa needed for the circumstances. If it is determined that you are not eligible to receive a benefit under U.S. law, your petition or application will be denied, sometimes with the petitioner or the applicant not understanding why. We can assist with the petition and application process making sure that it is completed accurately to avoid delays and unnecessary denials. If you need assistance with non-immigrant visas, family and employment immigrant visas, or with any other type of immigration issue, Guerrero Geisel Law, PA can provide you with solid answers and representation. A scenario where one might be forced to leave the country can be stressful and confusing for anyone. Guerrero Geisel Law, PA not only understands these situations but is committed to help providing comprehensive legal representation. At Guerrero Geisel Law, PA, we specialize in removal proceedings defense. We have the experience to help our clients throughout the entire process. Whether you are looking to learn more about removal proceedings or if you need to apply for Cancellation of Removal as either a nonpermanent resident or a permanent resident, we can assist. Regardless of the type of form of relief available for your specific case, you can rest assured knowing that you will have an aggressive advocate that is prepared to fight to the end to protect you. A question is often asked, "Do I need an immigration lawyer?" The truth is . . . yes. When your welfare and immigration status is in jeopardy, you need the confidence that you have an advocate who will see your case through to the end. The immigration laws and statutes are very complicated. Make sure you have an attorney who knows the immigration system inside and out. You do not just want an attorney who knows something about immigration law. You want an aggressive attorney who specializes in it! Do not put your future in the hands of an inexperienced immigration firm interested more on the quantity of its clients rather that the quality of its service. Guerrero Geisel Law, PA is not only known for our aggressive defense for our clients but for our ethical approach to justice. Call us today!